Until recently, homeowners would convert underutilized areas in their home into a TV room that was used primarily for watching movies or television. Often, these rooms took up valuable space within the home but were used infrequently. Homeowners began to realize that rooms used primarily for watching media were an inefficient use of space. Media consumption today is a comprehensive part of daily life. It involves movies, television streaming, gaming technologies and more. As a result, these new technologies, the TV rooms of the past have evolved into full scale media rooms that have become a focal point of the home. Why should you have a media room? For most families, the idea of sitting down in a quiet room to watch a movie is inconceivable. Kids are clamoring over each other, adults are chatting about their day, and teens may be scrolling through their social media feeds – all while a movie plays in the background. Media rooms are really just multi-space living areas that integrates technology into family activities. If you’re looking for a place where family and friends can gather comfortably for whatever activity may be planned, the media room is for you. What should your media room include? Your media room should meet the specific needs of your home. The sky is the limit for what your media room should have, but there are some necessities that will make your media room a success. Do you envision rows of kids lying on the floor with blankets and pillows as they watch the latest adventure movie? Do you need space for teenagers to “flop” while they video chat with their friends? Will there be extended family and friends hanging out on a regular basis? Media rooms typically include conversational seating arrangements that can be rearranged for movie watching or pushed aside for serious fort building. Ensure that your media room has comfortable seating that can accommodate multiple uses. Make sure your seating is durable, easily cleanable and fits the style of your home. The screen in your room should be large enough to be seen easily by everyone in the room. The rule of thumb for knowing what size screen you need? Measure the distance from the screen to your seating. Divide the distance by three to get the approximate size of the screen you should have. Today’s “screen” can be a wall mounted television, a retractable viewing screen or simply a projected area on a blank wall. Decide which style screen you wish to have and plan the size accordingly. A professional sound quality venue may have the latest in sound technology. However, despite the high tech features available, your home may not be able to compete with the movie theater experience. In addition, you need to consider the sound of cheering teenagers as they watch the big game, the screams of kids who just realized the super hero is a villain and what will happen when the scary music escalates. 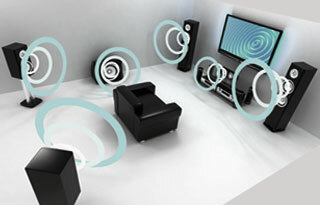 Managing the sound in your media room is important. You can fill your media room with both sound enhancing equipment and sound absorbent material to help set the ambiance in the room. Media rooms should include more than a television and a DVD player. They can centralize gaming stations, music players, streaming devices and charging hubs. The quality and availability of equipment exceeds anything that has been available previously and offer a comprehensive media experience. The room’s use may change frequently, sometimes within the hour. Proper lighting is essential for homeowners to maximize the room’s capabilities. Lighting will change when the room is premiering a family classic for movie night or when it is hosting book club. It will change again when video games take center stage or when someone is seeking a quiet place to catch up on their reading. Preventing eye strain with proper lighting can be handled easily with dimmer controlled switches. Using LED bulbs can help to reduce discomfort. 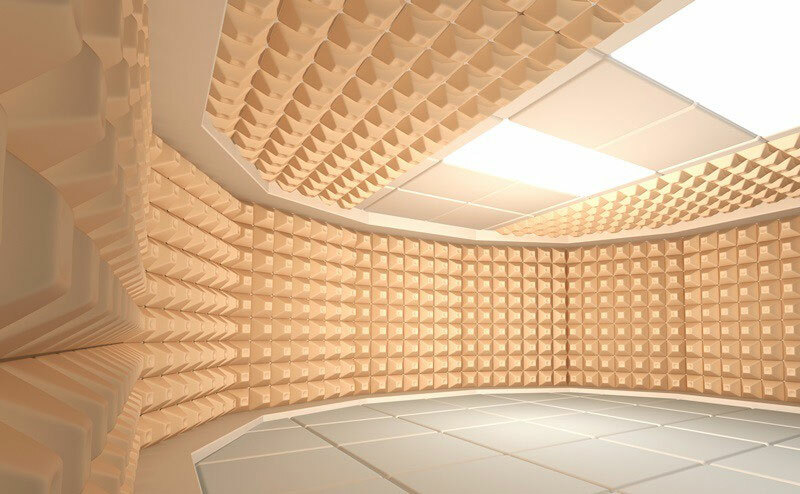 Adding voice activated controls can give homeowners control over this room with just a few simple commands. With all the new technologies comes a new set of problems: what do you do with all the equipment you need? Where do you put all the cords and remotes? How will you store gaming equipment when it is not in use? Evaluate your storage needs and look for creative ways to add hidden storage. Wiring can be hidden within the walls. Built in shelving can help keep gaming equipment organized and accessible. Baskets and storage boxes can help control the clutter and can fit in with your home’s décor. Ottomans can house blankets and pillows for movie night and can double as extra seating. Bookshelves can hold movies or games. What’s the difference between a media room and a movie room? Some designers and home renovation experts use the terms ‘media’ and ‘movie’ interchangeably. While the rooms are similar in scope, they offer different elements to the homeowner. A movie room is designed around viewing movies and tv shows. This may affect the type, size and location of the screen, the sound system and the other activities that may take place in the room. In a movie room, viewers will be tempted to “Shhhh!” chatter boxes who try to talk through the movie. A media room takes the primary focus off viewing and integrates other technologies and uses into the room. It encourages people to get comfy and stay a while and typically becomes one of the home’s most well-loved rooms. How can you get started designing your media room? The experts at ClarionAV can help you design the media room your family wants and needs. They will strategically develop a plan to maximize your media room space while offering optimal flexibility. With an in-home evaluation, they can help you find the perfect location for your media room and offer suggestions about the technology that you will need. As a result, your media room can become the hub of activity in your home. Perfect for daily use or for creating a warm, welcoming environment for your family and friends, adding a media room to your home can be one of the best home upgrades you undertake. Don’t leave this process to chance.